Topps opens the doors to beauty of baseball card collecting with the release of 2018 Topps Museum Collection Baseball. This product furthers last year’s motif of creating cards that are worthy of the centerpiece display of any modern collection. 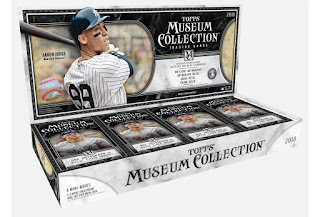 For those unfamiliar with Topps’ Museum Collection line, Topps has cleverly packaged each box with four mini-boxes, with every one containing a guaranteed hit in the form of either a relic or autographed card. The high-gloss finish and thick card stock provide collectors with an upgraded feel that signals one is holding a truly premium piece of memorabilia. The 100-card base set features a mix of active stars, rookie, and all-time greats, expertly framed within a silver border that preserves the ballplayers in their professional glory. Each base card has multiple colored parallels (Copper, Sapphire, Amethyst, Ruby, and Emerald) that keep collectors on their toes as they dig through each pack. 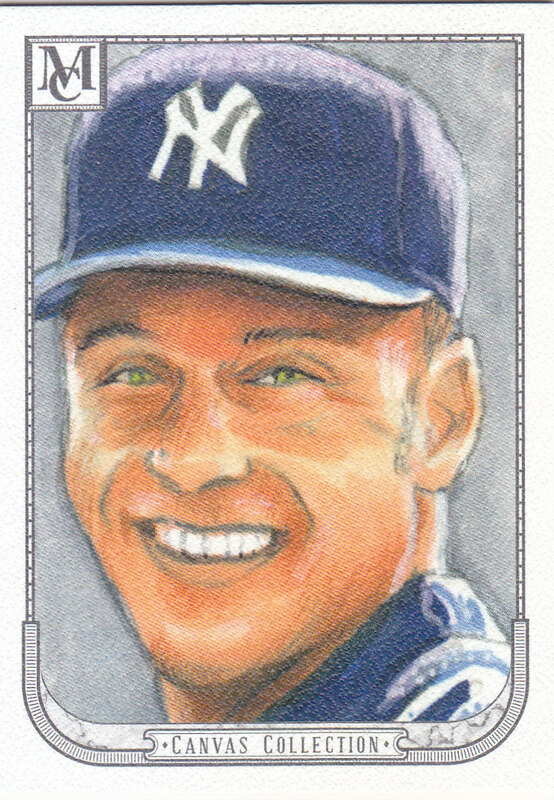 The box provided for this review produced notable parallels including a Copper Shohei Ohtani and an Amethyst (/99) Sandy Koufax. Even though the base set is certainly attention worthy, 2018 Topps Museum Collection Baseball will draw its primary attention due to its autograph selection. The Archival Autographs are set in a horizontal design with a circular shaped opening that gives each signature plenty of room to breathe on the card. Those who are lucky enough to score a case hit of a framed autographed are treated to a striking silver or gold signature set in a metal framed card. Those who want even more color with their autographs will enjoy the signed relic cards. The most common are the single-player dual and triple relic autographed cards, each of which have lowered numbered Copper, Gold, and Emerald parallels. Rarer relics emerge in the form of Momentous Material Jumbo Patch autograph cards (minted to quantities of 15 or less), and the 1/1 Museum Framed Autographed Patches, which contain game-used relics. 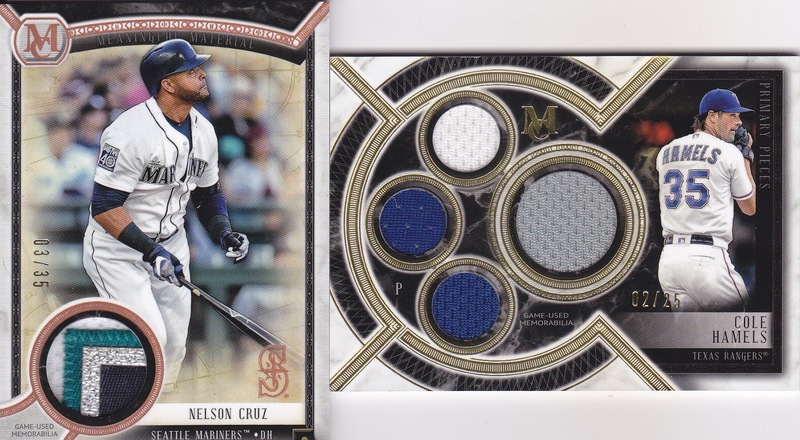 One slight disappointment with this set is the patterns on the relic cards, especially ones containing two or more relic pieces. The outlines circular relic shapes created a distracting gear shaped effect that makes the card look too futuristic compared to the rest of the set. 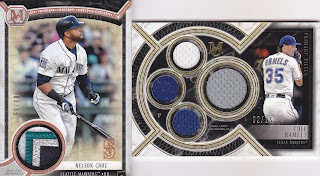 Topps should consider changing the shape and outlay of the relic designs in future years to maintain a consistent look throughout the Museum Collection series. Topps has managed to make enough tweaks to Museum Collection to keep it fresh for 2018. 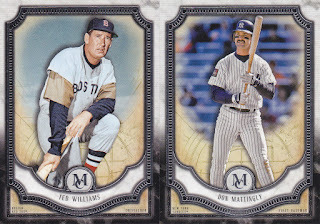 Subtly adding a silver theme to the base set and carrying it over to their autographed cards was just the tweak that Topps needed to draw eyeballs back to the product. If you are searching for a premium collectable that offers a quality mix of sleek base cards and fancy autograph and relic parallels, then click here to jump right into 2018 Topps Museum Collection.